A mother of two who has lived in Metro Vancouver for 14 years is facing deportation after she was arrested by border officials in April. 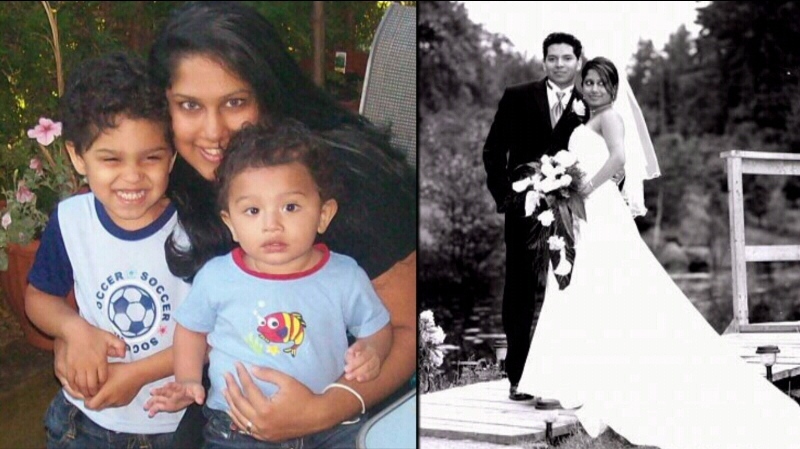 Ibarra, who moved to Canada from Sri Lanka at age 15, is married to a Canadian man. They have two boys together, ages 7 and 10. The problem stems from what Janina describes as a clerical mistake dating back nearly 10 years. Her Sri Lankan passport, a necessary document to apply for Canadian citizenship, went missing somewhere between Canadian Immigration and the Sri Lankan High Commission. That one lost document turned into years of frustration for the Ibarras. For years they tried to sort out the problem with no success. Overcome by frustration, they eventually gave up on dealing with immigration altogether. “To many people, they think it’s a slam dunk case, and a lot of people don’t understand the hardships that go with the legal side of things,” Janina said. Years went by as the couple raised their two boys, now 7 and 10 years old. But in late April 2014, Canada Border Services agents arrested the mother outside of her Vancouver home. “The officers come out and kind of yell in your face ‘You’re under arrest,’ they read me my rights, they handcuff, body check for weapons, and then take me downtown,” she said. “They said that they were coming to pick up my wife for immigration. The whole process was just absurd. I don’t know why they couldn’t just go up to the door and say ‘Hey, is Janina here?’ We would’ve gladly cooperated with them,” Eliseo said. An immigration lawyers tells CTV News a new government policy to clear up historic cases could be to blame for the family’s hardship. But Wong said he doubts the government will go through with deporting Janina. “If this person has a Canadian spouse and children born in Canada that would be quite unusual,” he said. The Ibarras said they are currently trying to build a case for Janina to stay in Canada as she appeals the decision.